Air pollution is a silent killer responsible for millions of death worldwide. 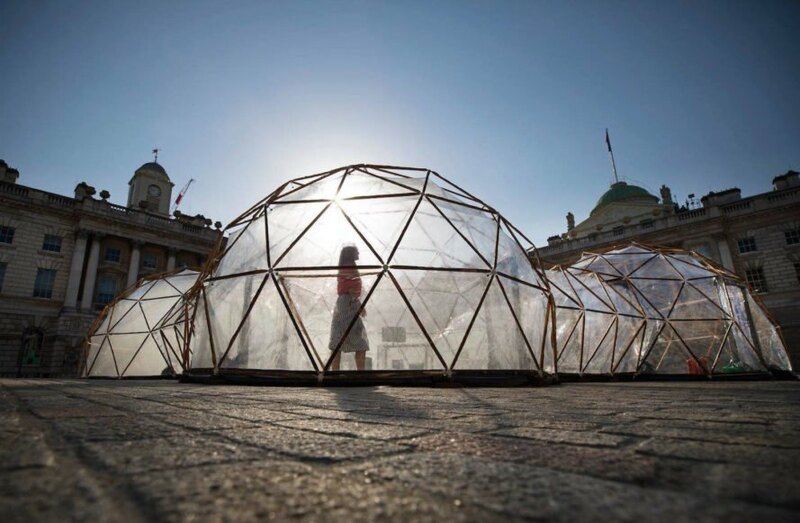 In a bid to highlight the environmental problem, British artist Michael Pinsky set up five interconnected geodesic domes, dubbed the “pollution pods,” that let passersby sample air quality from five locations around the world including Beijing, São Paulo, London, New Delhi, and Norway’s Tautra Island. 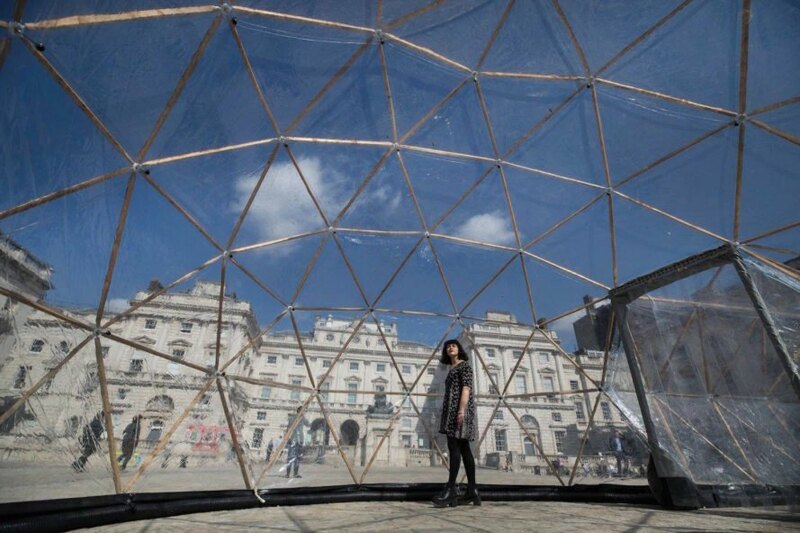 Created in collaboration with Danish air filtering company Airlabs, the temporary installation popped up for Earth Day outside London’s Somerset House. Pinsky simulated each city’s atmospheric conditions using safe chemicals that emulate the relative presence of ozone, particulate matter, nitrogen dioxide, sulphur dioxide and carbon monoxide. Visitors pass through increasingly polluted cells starting with the pristine Norwegian island of Tautra, followed by “Living Diesel” London, smoggy New Delhi, hazy Beijing, and finally smoky São Paulo, after which visitors get respite by exiting through the Tautra pod. The Norwegian University of Science and Technology, Trondheim originally commissioned Pinsky for the installation as part of the Climart project in Norway. The project was brought over to London temporarily and was on display until yesterday, April 25. Pollution Pods aims to bring greater attention to the issue of air pollution and inspire behavioral change; visitors are also offered a leaflet detailing ways to reduce exposure to air pollution in London. Air pollution is a silent killer responsible for millions of death worldwide. 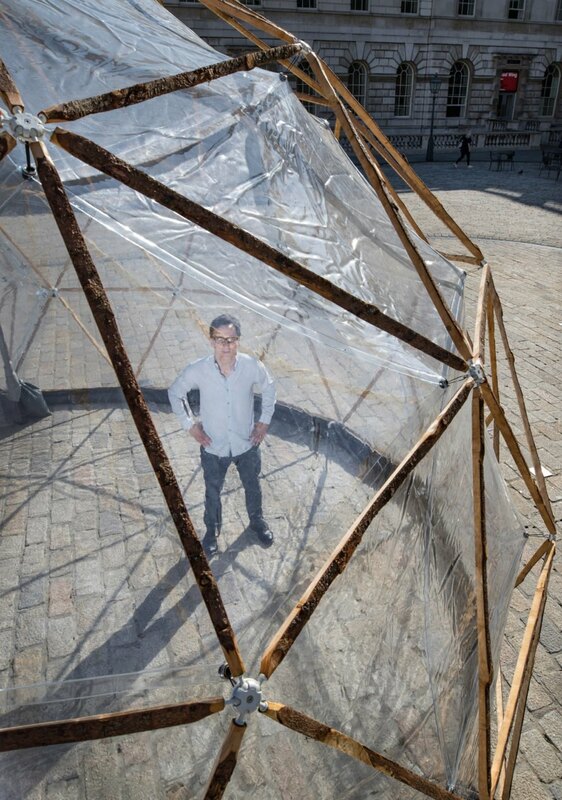 In a bid to highlight the environmental problem, British artist Michael Pinsky set up five interconnected geodesic domes, dubbed the “pollution pods,” that let passersby sample air quality from five cities around the world including Beijing, São Paulo, Brazil; London; New Delhi; and Norway’s Tautra Island. 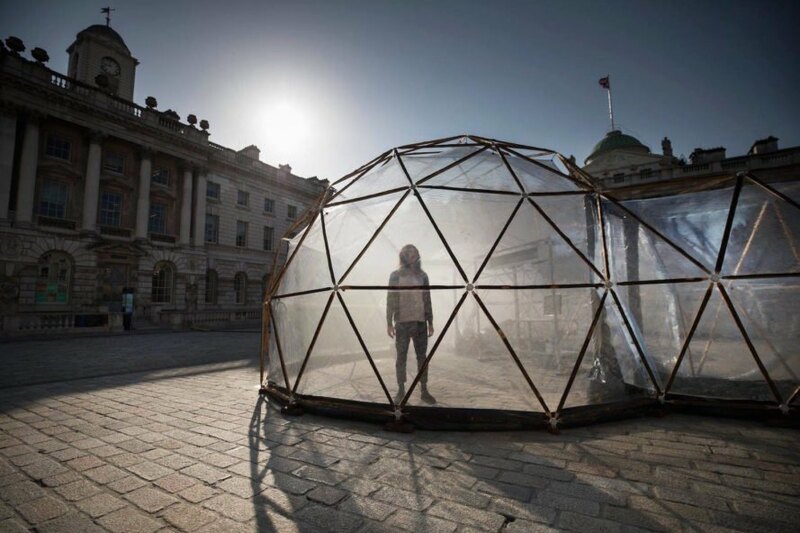 Created in collaboration with Danish air filtering company Airlabs, the temporary installation popped up for Earth Day outside London’s Somerset House. Pinsky simulated each city’s atmospheric conditions using safe chemicals that emulate the relative presence of ozone, particulate matter, nitrogen dioxide, sulphur dioxide and carbon monoxide. Visitors pass through increasingly polluted cells starting with the pristine Norwegian island of Tautra, followed by “Living Diesel” London, smoggy New Delhi, hazy Beijing, and finally smoky São Paulo, after which visitors get respite by exiting through the Tautra pod. The Norwegian University of Science and Technology, Trondheim originally commissioned Pinsky for the installation as part of the Climart project in Norway. The project was brought over to London temporarily and was on display until yesterday, April 25. Pollution Pods aims to bring greater attention to the issue of air pollution and inspire behavioral change; visitors are also offered a leaflet detailing ways to reduce exposure to air pollution in London.